Some people believe high performance teams come together and innovate due to luck—the right people happen to be together in a room at the right time. By reviewing moments in history that resulted in some of our biggest innovations— from the light bulb to the airplane—you will see that luck has very little to do with it. 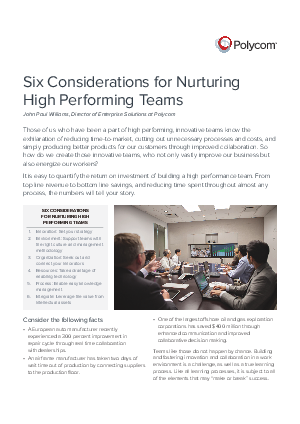 Working to create an innovative environment with high performers is possible in any environment if the proper measures are taken to make it work.